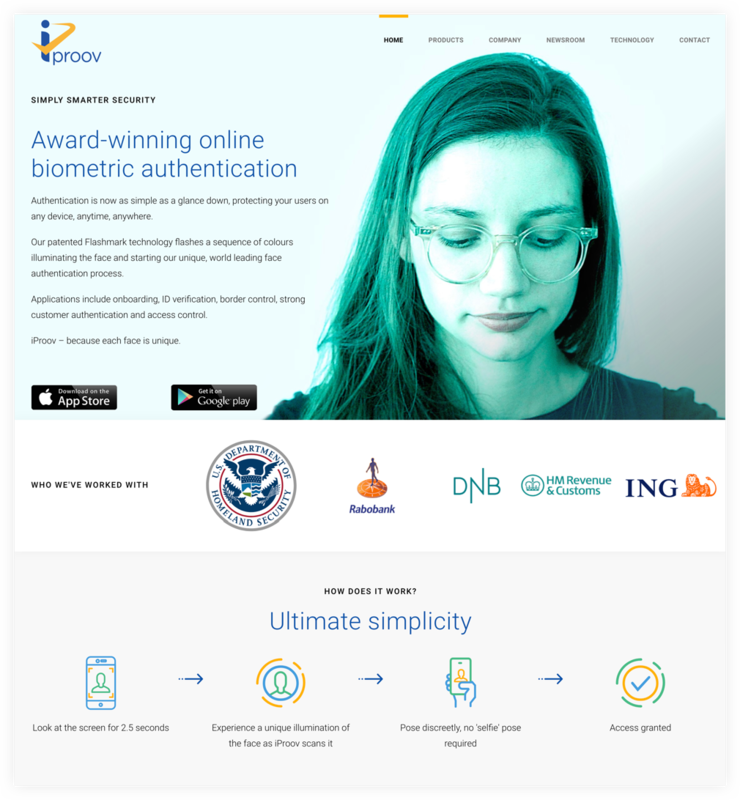 iProov are a tech start-up who delivers award-winning online biometric authentication protecting users on any device, anytime, anywhere. Applications include onboarding, ID verification, border control, strong customer authentication and access control. 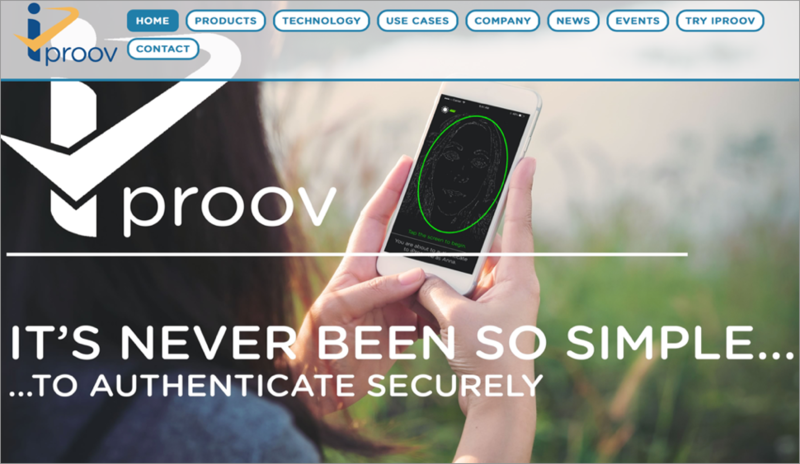 iProov needed a new website for RSA, a key international trade show in America, to be ready in 4 weeks. They wanted this to also create a shift in their overall positioning, to make them look less ‘traditional tech’ and more innovative and thought-leading. Further, to be distinctive in the market place. Strategy: we realised that all of their competitors used exactly the same photographic imagery to demonstrate the taking of a selfie for authentication. One of our insights was to create a new strategic concept – that taking a selfie was as simple as looking down at one’s phone. This insight informed the rest of the work we did, as outlined below. New brand direction to create a more contemporary, market-appropriate look and feel. Great working with Agile Rose team - we're really pleased with the website - thank you!